It is no secret that I always give high fives and thumbs up when closets are treated like rooms and extensions of the home. They not only boast storage, but they can literally transform into an office, a nook, or in today's case, a mudroom! 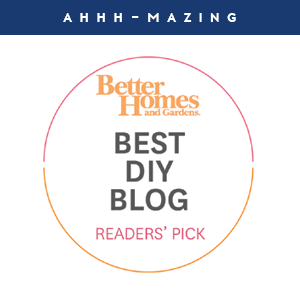 Today's reader is a fellow Wisconsinite and she had a typical builder's grade closet that just wasn't functioning the way she wanted. 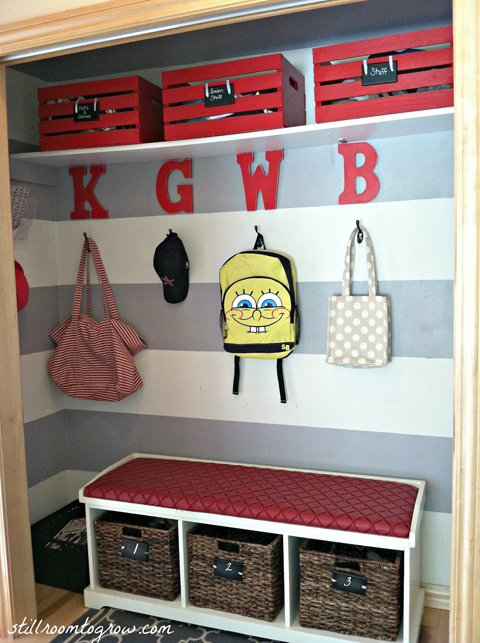 So, she did something about it, got creative, and gave herself the cutest little mudroom. Here is the super adorable Kate from Still Room to Grow now! "I desperately wanted a mud room when we moved into this house and the cost to put one in this same space with custom lockers was $1000. That was not gonna happen because my husband thought we already had a perfectly good closet to store all the same stuff. I saw Jen's closet turned office and the wheels started turning! I just knew I could create a functional space, that was easy on the eyes too. 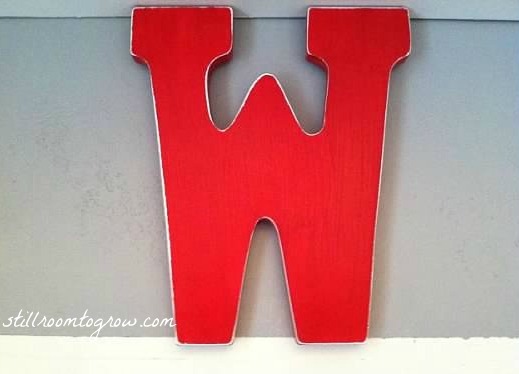 This was a quick weekend project and I am loving the results." "Bins at the top are great for holding stuff like hats and gloves and swimming items. And then I have one that says, 'Stuff', it holds random items we use depending on the season. Each kid has a basket and it holds their current shoes for the season, I tuck socks in there too so we don't have to run back upstairs to get them. The basket to the side of the storage bench holds items that need to be returned, like library books and store returns. I also only keep on coat out per kid. The others are kept in another large hall closet in our front entrance." "Labels so everyone knows where stuff goes!" 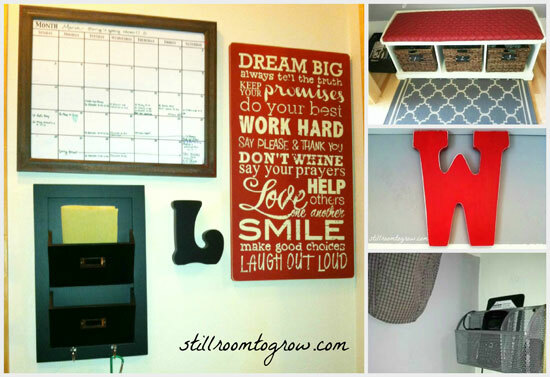 "Hand painted letters above each hook, a wall collage with a calendar and inspirational quotes. I used an indoor/outdoor rug, that can take abuse of winter weather and I can hose it off anytime I need too. A color combo I love, red, white and grey!" 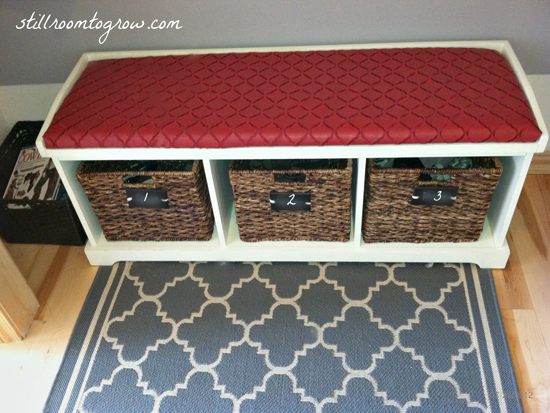 "The bench was from Pottery Barn and did not have a cushion, we were using it initially in the playroom. My hubby cut a piece of plywood and I added foam, backing and the faux leather fabric I had leftover from recovering the chairs in my kitchen. It turned out perfect and wipes clean!" "It was a win-win for me and my hubby, he didn't think it was necessary to spend the extra money, but thinking outside the box, I was able to get what I thought was more aesthetically pleasing to the eye and a very functional space. I love not having to dig around in a dark closet for items. 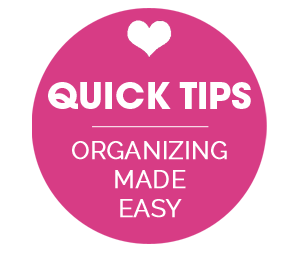 The kids can actually reach the hooks and know where everything belongs, so it stays fairly organized." 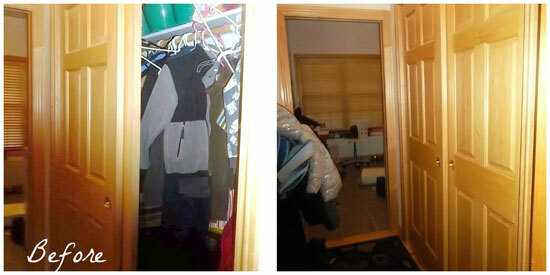 Isn't it amazing what a little creative thinking, paint and organizing can do? 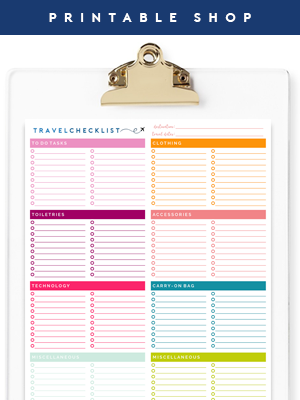 I really heart this because by keeping it open, it really brightened things up, but it also gives a little extra motivation to keep it tidy and organized. When we have closets that are dark holes, it is a lot easier to neglect the space and let it become an unorganized dumping ground that eventually spins out of control. I also love that everything is clearly marked, and that it is easy for the kids to maintain as well. When they are able to lend a helping hand in hanging up their items, or putting on their own socks and shoes, everyone smiles a little bigger. And what a smart mama, keeping socks in the "mudroom". Love that! 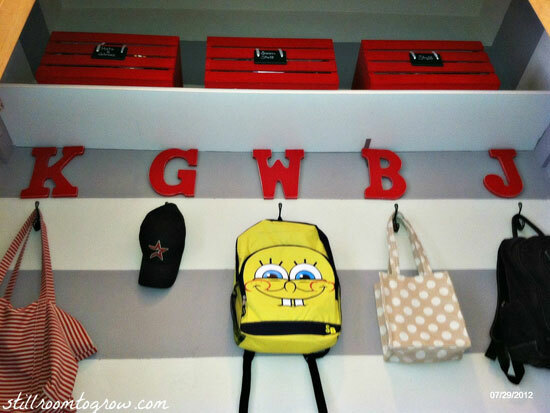 You can read all about Kate's mudroom makeover on her blog here. Your turn! Any other fans of turning a closet into a mini "room" in your home? 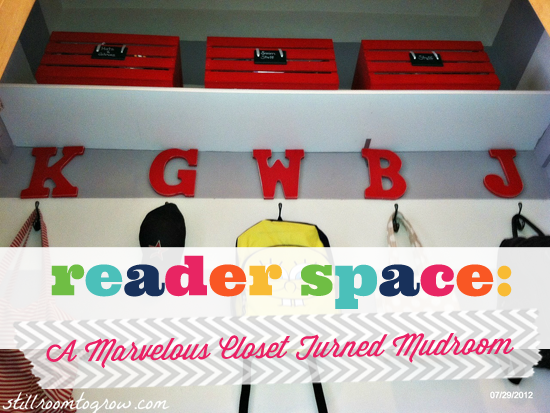 How do you make your closet an extension of your space vs. closing it off and letting it sit dark and unloved? What a fabulous use of space. Wow... That is awesome. I love the pop of red and the way she made something so common into something so unique and eye catching!! She did a great job using the space. While we don't have a closet to turn into a mud room, I took a a part of our garage and turned it into a mini mudroom and loved the way it turned out. Very impressive for a weekend project! I love the colors, and the stripes on the wall are a fun element to the space! I love this! This is exactly what I was thinking of doing to our "extra" closet off the garage in place of a total remodel of the laundry room. 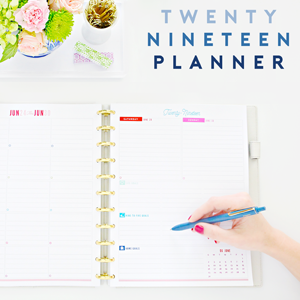 This has given me some great ideas to get started. What a wonderful idea and it turned out amazing! 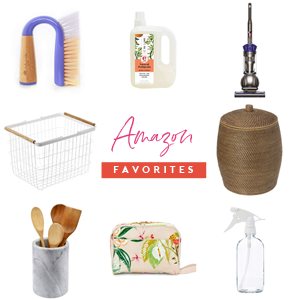 It gave me some ideas on how I can have the mudroom I've always wanted. I love this especially the striped wall! I love the painted crates. They make something as mundane as storage into a nice pop. I also love the idea of assigning a little cubby to each person. Great work! What a cute mudroom! If we had a closet near the front or back do I'd so be doing that, too! Great work! How awesome! I love the color choice and it looks fantastic. Where is this room located in her house? Our closet is a one door closet (which could be opened up into a bigger space), but it is right when you walk into the house through the front door which makes me nervous. Thanks so much! This is located by the garage entrance to our house, inbetween our laundry room and kitchen. I live in MN and would love to see the space with snowpants, boots, coats, gloves, etc. I honestly am tired of seeing all these beautiful spaces that I know are not realistic to recreate since we have to have someplace to put that stuff. I would love to see a "real" pic, just not the staged ones. I have one posted on my blog, check the above link. Denisemoody I am with you on this. I would like to do the same stuff with my closet but where will I put all the jackets (4 in the family with atleast 2 each - 8 Jackets). Gloves et al can go in the basket but there is no easy way to hide the jackets & make it friendly to take off & hang back in. We also gym bag for each one of us that does not fit in any of the cubbies. I understand where you are coming from ladies! Today's reader is actually a Wisconsin girl with the same need for outdoor gear, I just know she shot these photos in the summer. However, this hook system could still easily hang one pair of snow pants and a jacket for each family member. Our coat closet is awkward and tiny and doesn't even permit shoe and boot storage, but we just use another cabinet in the garage to rotate/hang seasonal outerwear and gear. This way, our coat closet only has what we need and use for the current season, and is not stuffed with multiple coats and products for each family member. It makes is much cleaner and easier to find things. I am guessing the same idea could apply to open cubby closets. I took these in the summer but check the link to my blog post about and i have posted a pic of what it looks like in the winter. I hang the snow pants on the hooks and then backpacks and coats and boots go in the baskets along with hats and gloves. All extra coats go in another closet and extra hats and gloves are stored in the red bins above. It actually stays pretty organized, because everyone know where things belong. Such great inspiration as I planned to do a similar thing (right down to the command center wall) in my soon-to-be-new home! LOVE that transformation! I wish I had a closet big enough to do that! This looks very nice. I would love to try something like this but I only have one closet to store coats.